Use the Venn diagram to classify the various matter items. Those that can change from one state to another should be included into the intersection of the appropriate Venn. 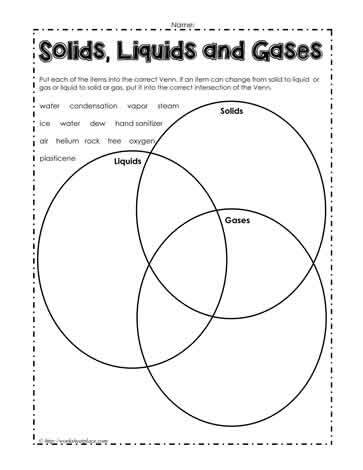 Use the staste of matter worksheets with grade 2 and grade 3 students.